Arctic Monkeys reveal video for "Tranquility Base Hotel & Casino"
"Good afternoon, Mark speaking, how may I direct your call?" 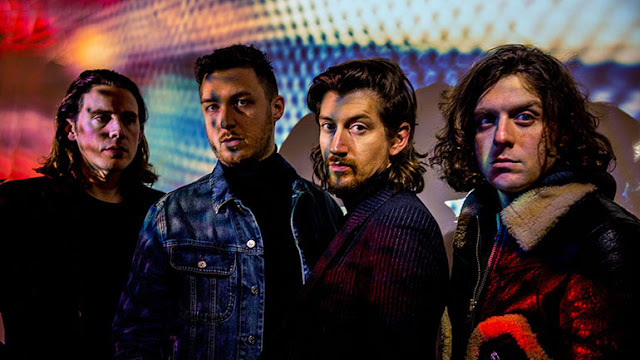 - Arctic Monkeys have today revealed the video for "Tranquility Base Hotel & Casino", lifted from the album of the same name. The video was directed by Aaron Brown & Ben Chappell and sees Alex in a dystopian past with clips of their Madia Vale performance played on monitors. Head on down to check it out.